A piece of leaked marketing material purportedly from Gigabyte has led to considerable speculation about what could occur on the date mentioned on it. The image pertains to the gaming-related Aorus sub-brand, with some believing it will lead to an announcement of the X570 motherboards and possibly even a reveal of AMD’s Ryzen 3000 series. The AMD CPU roadmap for 2019 specified a mid-year release for the Ryzen 3000 desktop processors, and as we have got closer to this time period, speculation of an actual release date has grown. We recently reported that May 27 could be a possible launch date for AMD’s Ryzen 3000 Zen 2 desktop processors, as the company’s CEO Lisa Su will be making an opening keynote speech at Computex on that very day. Thanks to supposed leaked promotional material, we now have further evidence that seems to point at this particular date. The newest reason for the suggestion of May 27 being the Ryzen 3000 launch date is due to an image that allegedly pertains to Aorus products from Gigabyte. 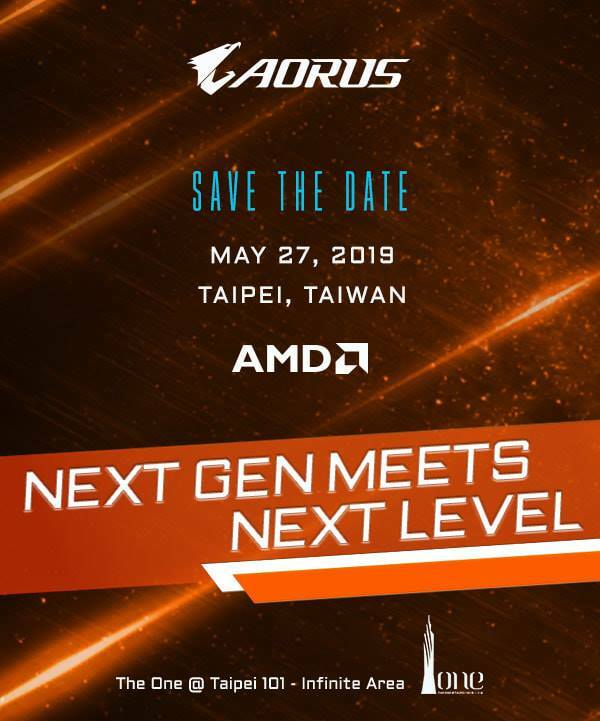 Text on the image states “next gen meets next level” with the logos for Aorus and AMD accompanying the slogan. Unsurprisingly, this has led some to believe that not only will Gigabyte release its already leaked X570 series of motherboards on the date specified, but that AMD will also take the opportunity to unveil Ryzen 3000 at the same time. If the Gigabyte Aorus marketing material is genuine, then it certainly seems like a reasonable presumption that AMD will launch Ryzen 3000 on May 27. The date is in the correct timeframe mentioned in the CPU roadmap, and it will be an incredible way for AMD to start proceedings at this year’s Computex event.